The Foundation for the Development of Healthy Relationships was born in the year 2002 as a result of a variety of observable needs by a group of Mental Health professionals as well as other specialists from supplementary fields. It focuses on the promotion of healthy relationships since it seeks to strengthen the appropriate development of the self in each person, by encouraging appropriate personal interactions that encourage the emotional stability of our society. 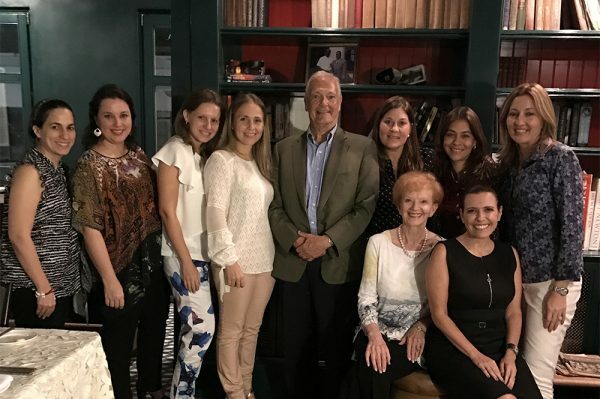 With only on common objective, these professionals joined their efforts through the International Psychotherapy Institute (IPI) which offered the necessary structure for the Foundation to be created. The IPI Headquarters in Washington D.C. was founded in Panama in 1994 under the direction of Yolanda de Varela, Ph. D. in alliance with Doctors David and Jill Scharff, Directors of the IPI International based in Washington DC. Increasingly, it became a solid continuing education resource for psychologists, psychiatrists, and mental health professionals in search of knowledge updating, clinical training, and learning a new theoretical perspective derived from psychoanalysis i.e., Object Relations, Self Psychology, and Neuroscience. Both the clinical practice and theory taught by the IPI constitute the foundations of the different outreach programs established by The Foundation for the Development of Healthy Relationships. The foundation provides an opportunity to contribute to persons, families, and mental wellbeing of each community. 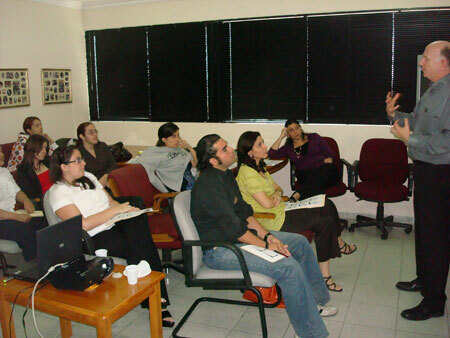 Our origin in the community outreach was to the Support Program of Operation Smile. This program offers support and emotional care not only to the patients but also to their family members in coping with the pre and post-surgery anxieties. In doing so, we are teaching these families models of positive care to be implemented with their children. 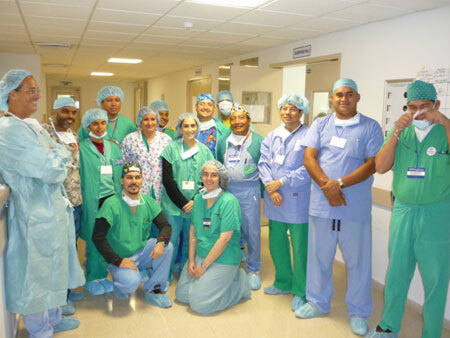 This program has contributed in an important way of reducing the post-surgery trauma in children, has promoted a movement towards a group work among physicians, volunteers and collaborators that have resulted in more effective missions and happier patients. Another program of the Foundation is Facilitating Mother-Children Attachment. It is intended to provide support to young mothers and pregnant adolescents in facilitating a good attachment with their babies since birth. It is offered to adolescent mothers in preparation for delivery through the Lamaze program, including conferences regarding the physical and emotional development of the child, the role of the father and ways to establish and maintain a secure attachment with their babies. 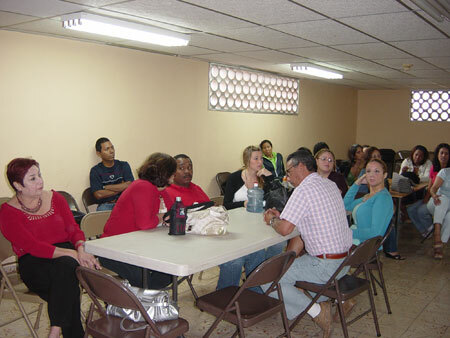 It offers a group space to share doubts, feelings and the learning of the different ways to cope with a particular situation. Studies have demonstrated that a good mother-child attachment goes hand in hand with the way we relate with other persons throughout life. Hence, a program such as this one, not only helps the mother to know the importance of attachment in the personality development but also promotes the formation of healthier and better parenting paradigms safeguarding the baby’s mental health and that of the young mothers that still have a life to go. 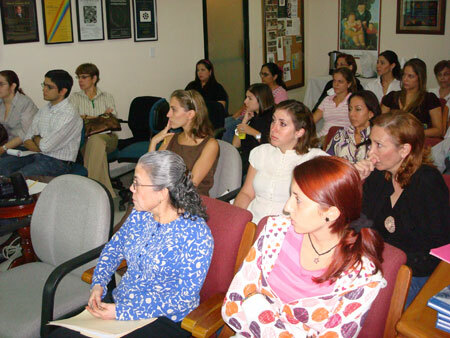 Some years ago, the alarming numbers in adolescents’ suicide in our country, the Foundation propelled the implementation of the Columbia University Teenscreen Program in Panama. Up to date, Teenscreen has evaluated over 1000 adolescents in more than 25 schools along the country, it has trained over 100 mental health professionals nationwide in administering prevention, diagnosis and attention psychological tests of young persons in risk situations. It has imparted educational and preventive conferences to psychologists, teachers, parents, and students of state and private schools throughout the country. Moreover, we have divulged the class ‘Give Value to your Life” to more than 1500 students and has trained more than 200 teachers and 200 parents. This program offers to the identified adolescent at risk brief psychotherapy sessions with trained mental health professionals to help them in the understanding of their difficulties as well as offering them hope of a better life. Mental health is a force that multiplies and is transmitted through generations. Consequently, each person that receives emotional support through these programs will, in turn, pass its benefits to their family members and subsequent generations..
Our vision is that of a country where mental health has a firm territory and a privileged space. Our mission is to strengthen interpersonal relationships, emotional growth support in a variety of life circumstances and to encourage the ability to repair what has been damaged. We expect to bring a message of hope to persons to contribute to the development of individuals, families and our of country as well.